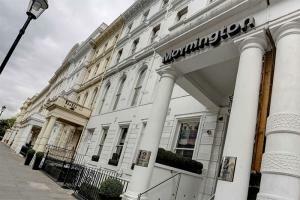 Best Western Mornington Hotel is ideally located in the heart of London, within walking distance of Lancaster Gate tube station and opposite Hyde Park. A recent remodel has enhanced the hotel's traditional features while incorporating a host of modern amenities to enhance your comfort and convenience. The hotel puts you within easy reach of London's famous West End, popular sights, as well as a multitude of shopping and dining experiences. Approximately 15 miles from London Heathrow Airport. Paddington train station, offering direct service to Heathrow Airport, is approximately a mile away.